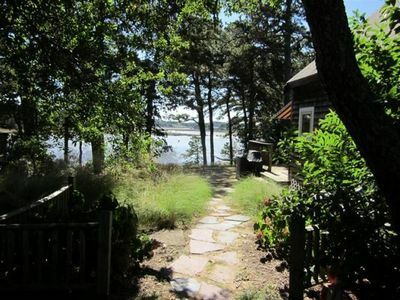 Come enjoy Cape Cod, while only steps away from beautiful Drummer Cove in Wellfleet. 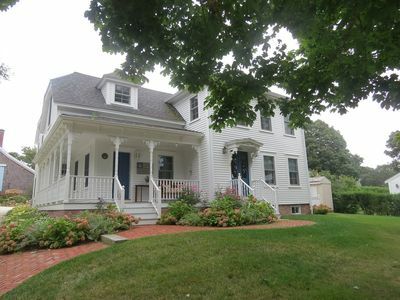 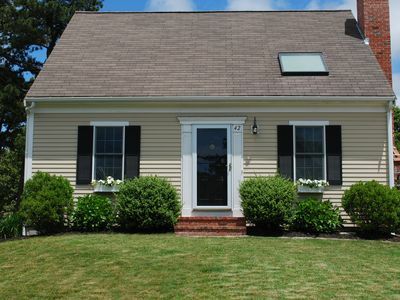 Relax at home, with bay front views, or venture out to the best beaches on the Cape-- just a mile away! 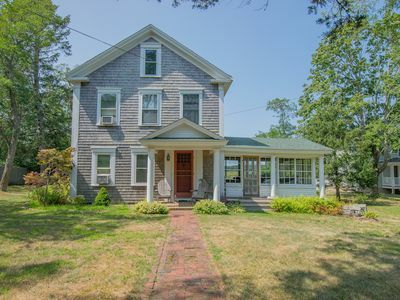 Less than 5 minutes from Wellfleet Center and 20 from Provincetown. 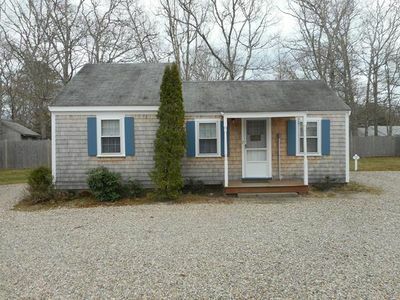 Charming 1950s cottage just steps from the shores of Drummer Cove. 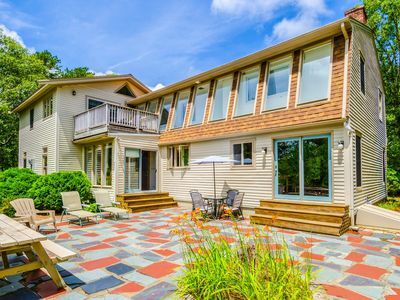 This cozy house is perfect for couples and small family getaways. 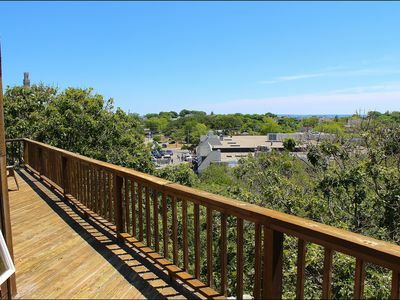 Relax on the front deck, or in the hammock with beautiful views of the cove and Cape Cod Bay. 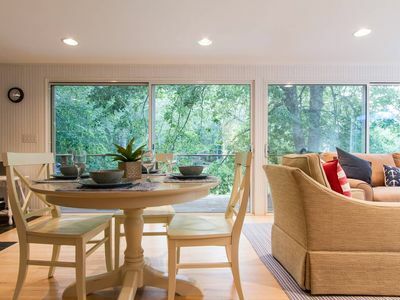 Indoor and outdoor dining space. 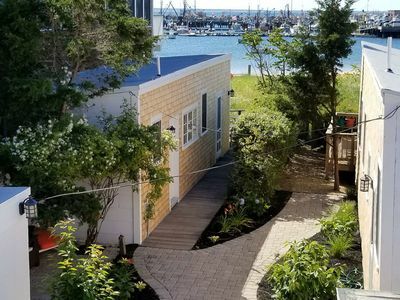 Outdoor shower with bay view. 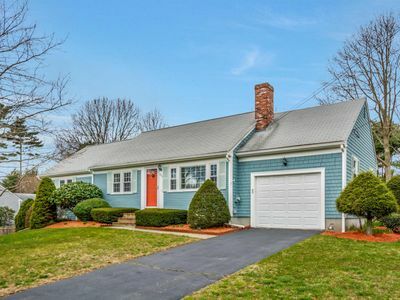 The perfect Cape Cod retreat! 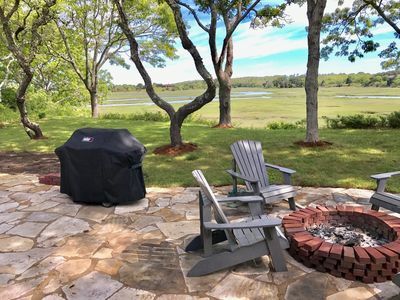 Drummer Cove is a unique and beautiful bayside community located just outside of Wellfleet center. 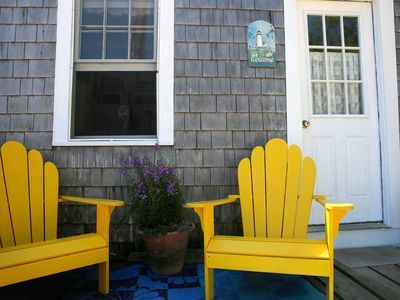 The cottage is just north of the Audubon's Wildlife Sanctuary and a short drive, bike ride, or walk to the Atlantic side where you can enjoy the incredible dunes, beach, and waves of Lecount Hollow and the Cape Cod National Seashore. 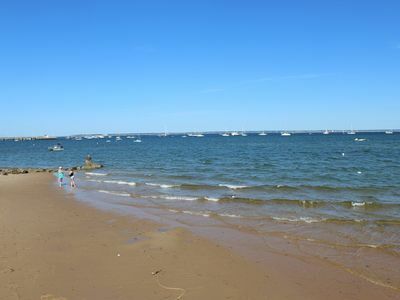 On your way back from the beach, enjoy dinner at PB Boulangerie Bistro, one the best restaurants in the area, or drive 5 minutes and you are in charming Wellfleet Center with its many attractions. 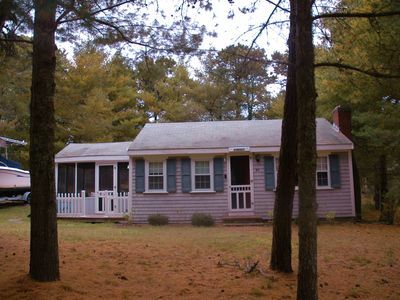 Walking distance to Lecount Hollow beach, short drive to other ocean side beaches. 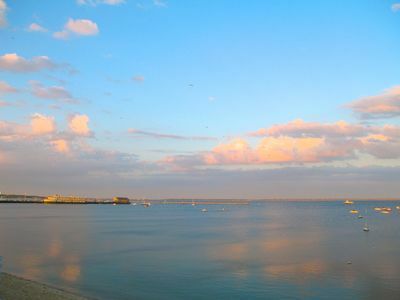 Walk along the shores of Drummer Cove. 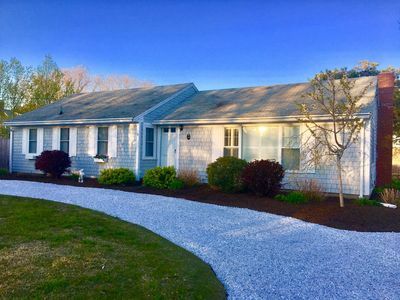 Wellfleet center is less than 5 minute drive away, Provincetown only 25 minutes, other attractions such as Welfleet Drive-In theater less than 10 minute drive. 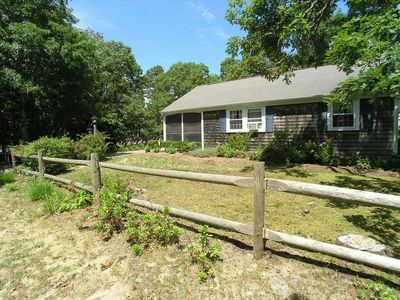 As a renter you are able to purchase Wellfleet Beach Passes at the town beach office-- we will provide all appropriate paper work. 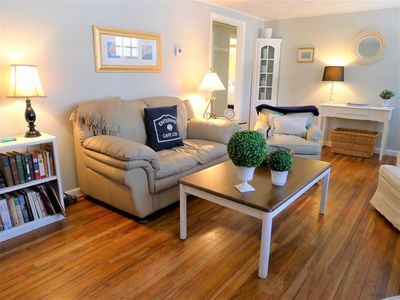 Sunny, Luxury Condo with HEATED POOL, Water View, Huge Private Deck! 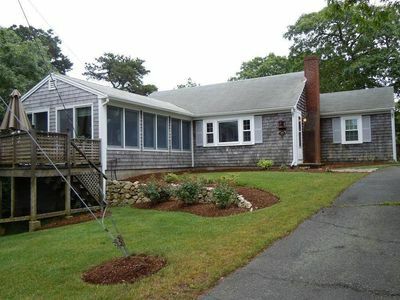 wellfleet modern home - walk to the bay/tennis/basketball court access! 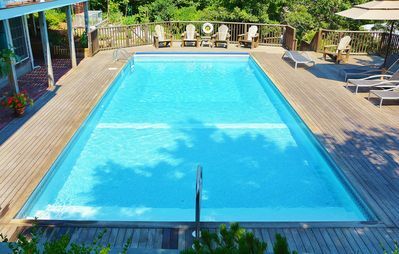 Stunning Views of Sandy Neck..Relax this Summer in style and sit by the pool!